It’s not enough to know how to wear a fitted suit. Accessorizing the suit is an important part of looking dapper. To pull a great looking suit together we have put up this guide to help you in that process. This handy guide will take your suit look to the next level. Read on. There are numerous accessories you can make use of to properly accessorize a suit. 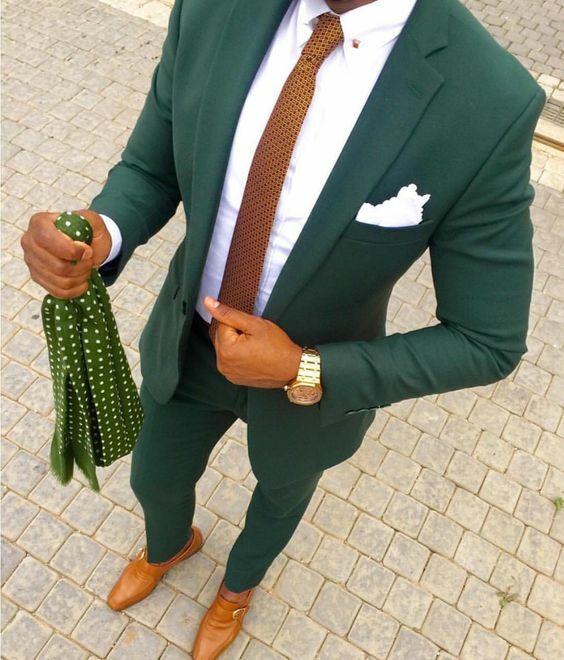 If you have a special event to attend to and in a dilemma as to how to properly adorn a suit, fret not, your options are more diverse than you think. Popping up a pocket square, lapel pin, a good watch, and tie can get things going on. If you are used to just throwing in a tie, other options might seem overbearing at first but trust us, you can get used to them quickly. Here is a list of our top accessory picks that can bring your look to an admirable level. Using a tie with a suit is a popular way to elevate your looks to a more formal level. 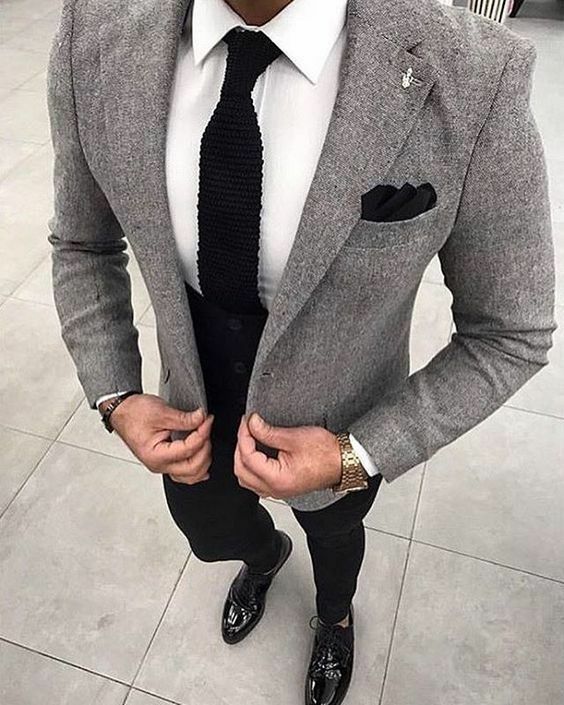 While we agree that leaving out the tie gives you a look in itself, there is something about using a fitted tie with a suit that gives out a vibe of being smart and well-dressed. The formality of the occasion more often than not dictates the kind of tie to use. 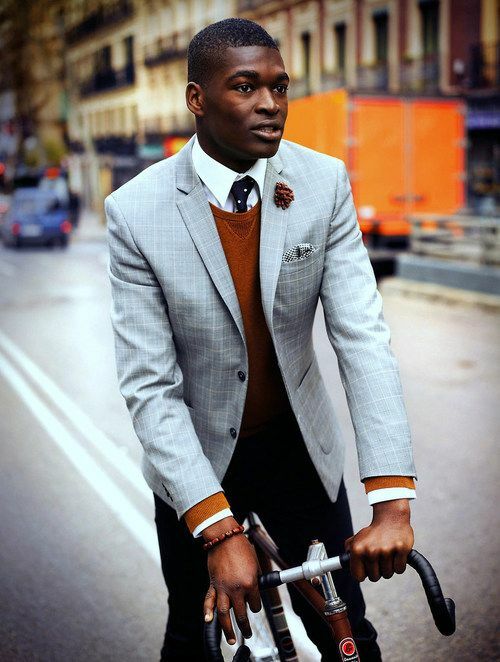 Without crossing too formal, opt for a light colored tie with a small pattern to pull off a really smart look. For extremely formal occasions like a black tie event, use a tie with the same color as your suit. This should give you a sleekish appearance that is well put together. 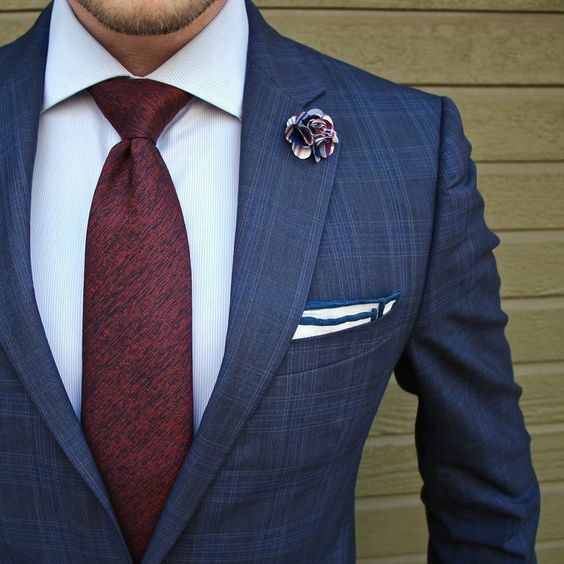 Use a tie clip to step things up a bit if just using an ordinary tie isn’t enough for you. The clip will help keep your tie tail in place and still make you look smart. A useful mix of function and fashion. Slide the tie clip in-between the three and fourth button of your shirt. Wristwatches are a classic accessory that pairs in well with suits. If you are new into accessorizing a fitted suit, you can’t go wrong with a good watch. It’s a functional as well as a fashionable piece of accessory every man needs. They look very sleek peeking out of the sleeves. If you want to accessorize a suit with a watch you must think about the occasion. Not all watches can be worn with a suit. There are formal as well as casual watches. Go for a more understated design if the occasion demands some level of formality. Pocket watches and big faced watches can also be used for formal occasions. Using a pocket watch is slowing going out of fashion. You will need to be innovative if you want to use one with a three-piece suit. 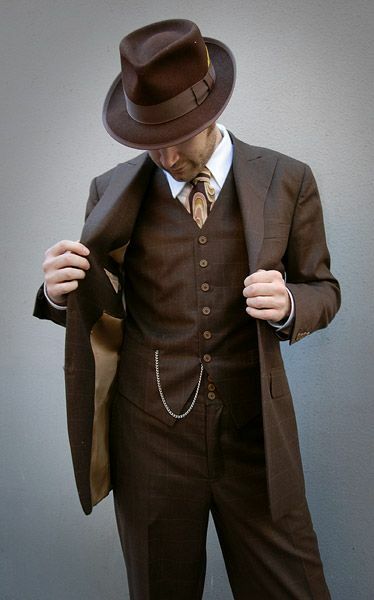 Modern-day suits no longer have the specialized holes that accommodate chain of a pocket watch. If you must use a pocket watch slip the chain through one of your buttonholes before buttoning up. For some extra flair to your dress assembly use a lapel pin. The recent resurgence of the lapel pins in street styles means they are accessories that can’t just be overlooked anymore. They can easily improve your dress silhouettes. There are lapel pins that indicate the wearer’s affiliation of some sort to a particular cause or purpose but most lapel pins are used for decorative purposes. Using lapel pins can quickly get you over the top, so it’s our recommendation that you keep things simple. This list of accessories to dress up your suit won’t be complete without mentioning pocket squares. They are a staple accessory that needs to be in every man’s wardrobe. They have the potential to step up your suit exponentially. You will only find pocket squares on the suit of the best dressers. As long as you can figure out a way to match/wear a pocket square, you are on your way to dressing mart. 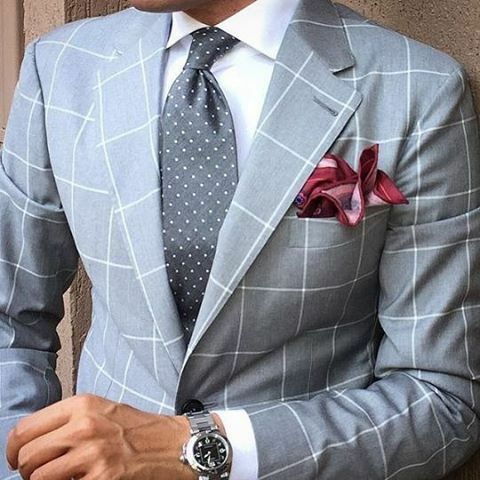 One rule to follow will be the match your pocket square to a corresponding matching tie. To create a triadic color combo opt for a pocket square in a complementary color to the suit tie. Doing this is more difficult so be sure you know what you are doing before attempting it. Using a suit tie is one of the most popular ways to accessorize a suit. Dress up your ensemble with an appropriate tie. Wristwatches are both a functional and fashion piece. Don’t leave the house without a good looking watch. 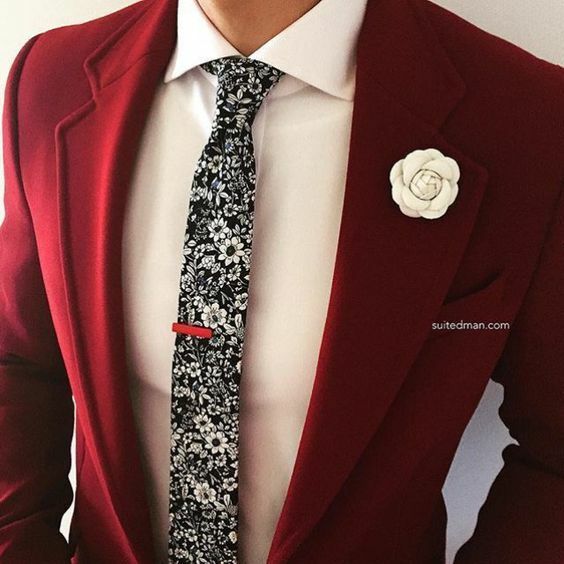 Lapel pins can be used to add extra flair. Keep things simple to avoid going overboard. Lastly, good suit dressers use pocket squares. Find one that compliments the suit and matches the color of your tie. It can be quite intimidating to accessorize a suit that is already formal. Don’t let that prevent you from looking smart, play around with accessories till you find what works for you. 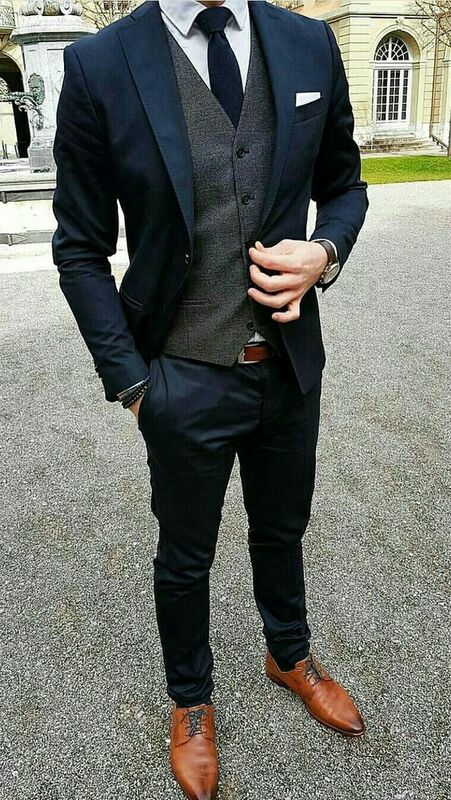 Using simple pieces like a quality watch and tie might be all you need. Start with those, as you grow in confidence, try other accessories.